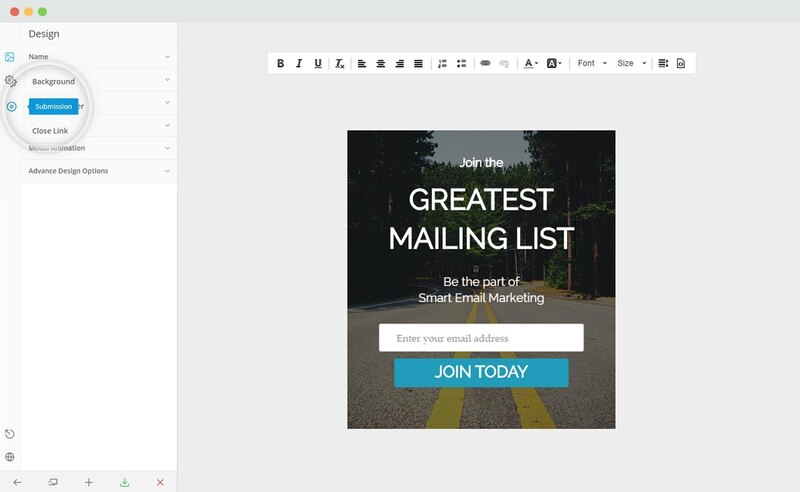 Use Convert Plus to create attractive WordPress popups, opt-in or sign up forms to gain more subscribers. This will help you convert your website visitors into leads. 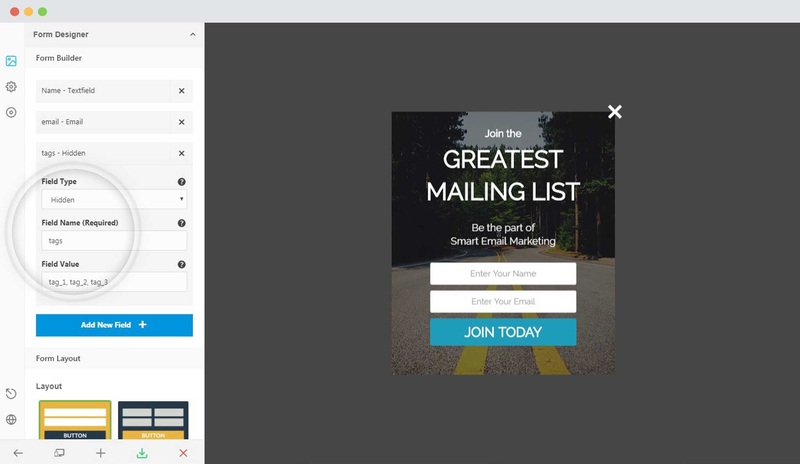 Convert Plus comes with an inbuilt lead capture tool, called Connects. 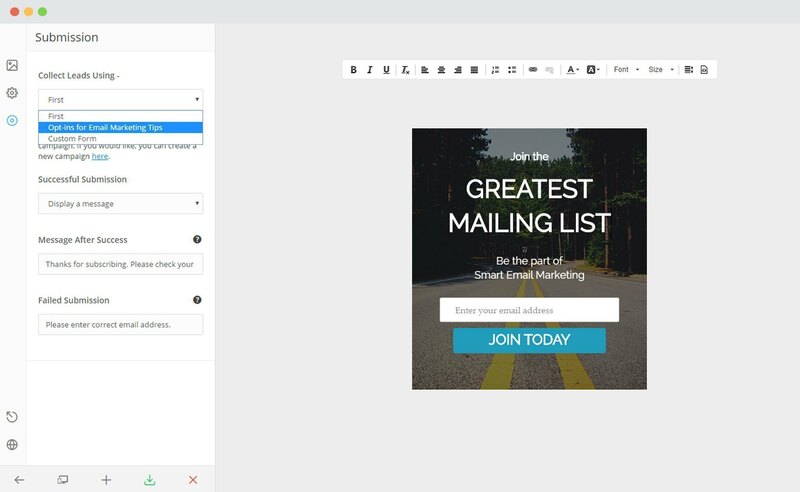 You can choose to store and manage leads within Connects, or integrate it with external email marketing softwares. 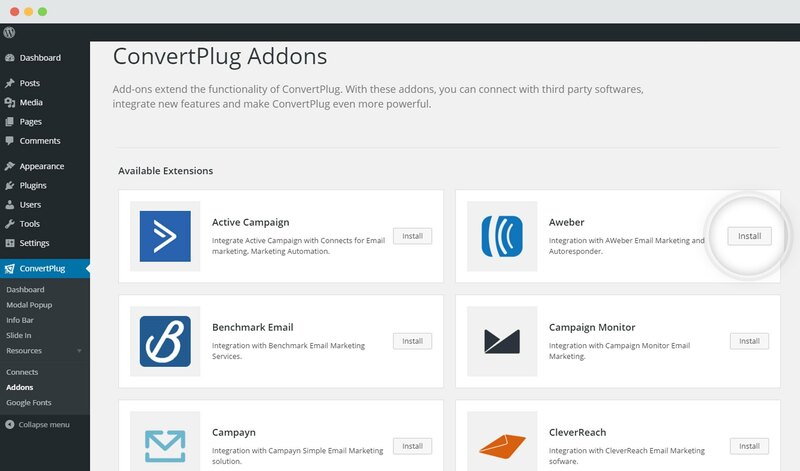 Convert Plus offers seamless integration with AWeber. 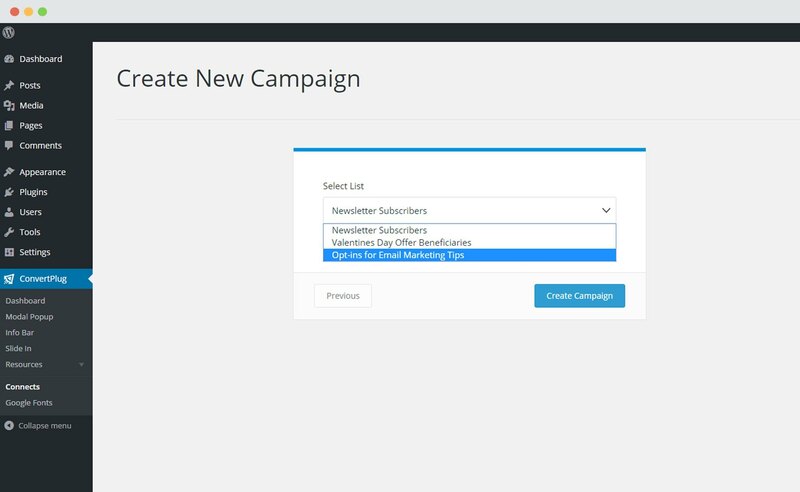 You can now capture leads through the subscription forms created in Convert Plus and execute an email marketing campaign with AWeber. 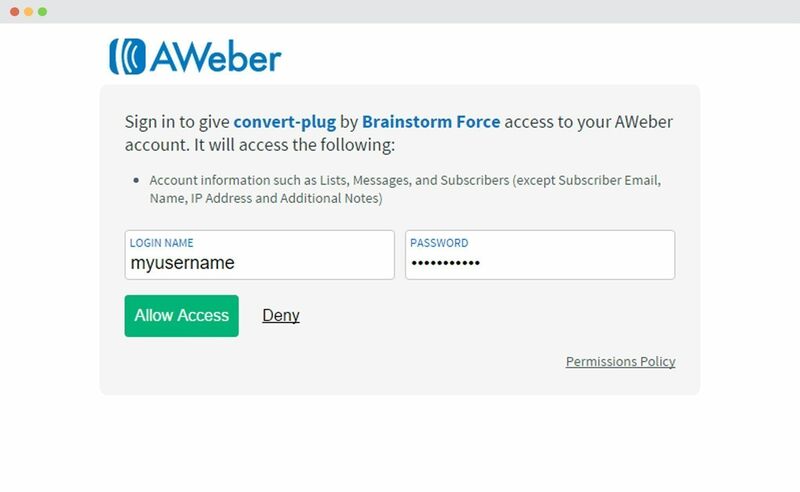 In order to integrate Convert Plus with AWeber, you can follow the steps mentioned below. Select AWeber from the drop down below. 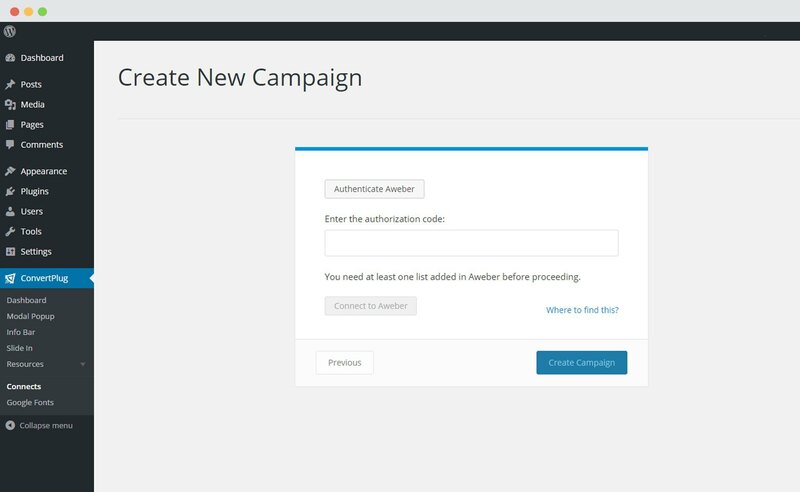 For the integration with AWeber, you need to authenticate your account and then enter the authorization code that is generated. Enter your Username/ Login name and password. Copy the authorization code that is generated after your account is authenticated, and paste it in the Connects interface. Connect the accounts and select the list you wish to integrate with. Click on the create campaign button and see a new campaign being added to the Connects page. 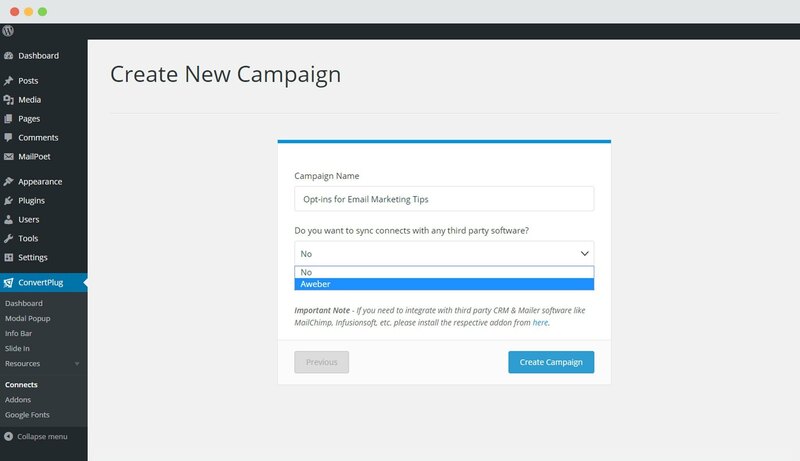 You can refer to the step here in case you wish to add tags in your AWeber list. Note: In case you wish to add tags in an AWeber list, you can do so by adding a hidden field in the Convert Plus form, name it “tags” and add the tags in the Field Value section. You can add multiple tags separated by a comma.